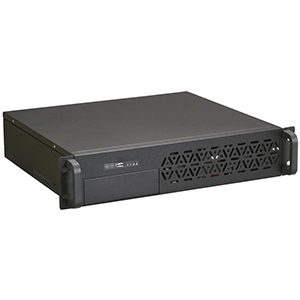 SuperMicro’s 2U rackmount server chassis gives you the space you need for a large corporate server. 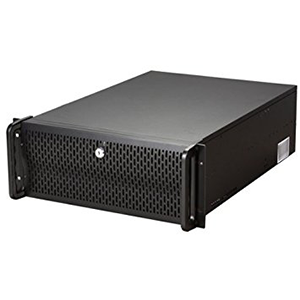 It is designed to hold EATX motherboards up to 13″x13.68″ so you can use today’s advanced multi-processor architecture. 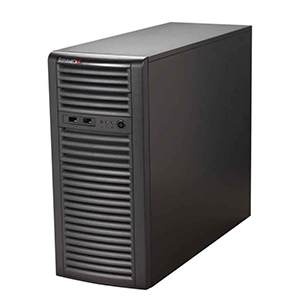 Seven full-length, low profile slots allow for system expansion. 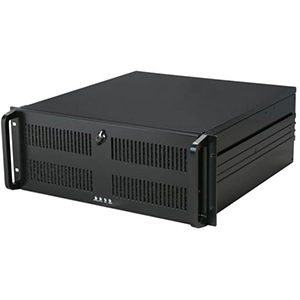 The redundant 700W power supplies maximize uptime. 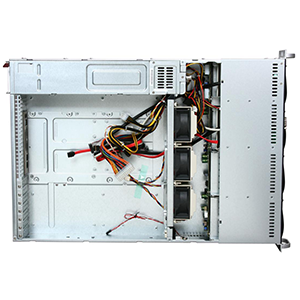 The front panel is taken up by 8 hot swappable 3.5″ SAS/SATA drive trays. There is also a slim DVD-ROM to load system and data files. A slim 1.44MB floppy can be added if necessary. In between the system board and drive bays is an array of three 80mm fans. 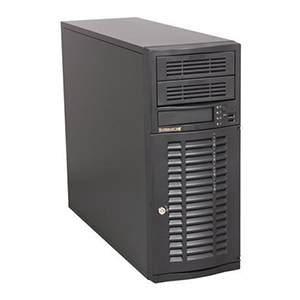 Once the system is built, installing it into the rack is extremely easy, as is servicing the system later. Instead of having to hold it in place while trying to tighten the mounting screws, you simply install the sliding brackets, drop the chassis in, slide it into place, lock it down and that’s it – turning a cumbersome job into an easy task that takes mere moments! 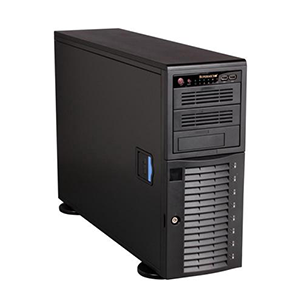 EXCELLENT EXPANDABILITY WITH 9 DRIVE BAYSFeaturing eight 3.5” SAS / SATA hot-swappable drive bays and one slim optical drive bay (for the included DVD-ROM drive), the CSE-825TQ-R700LPB provides excellent expandability. 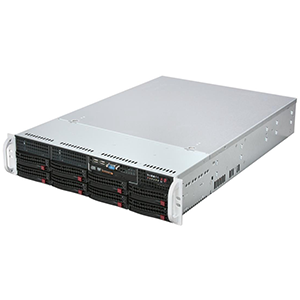 EFFICIENT VENTILATIONThe SuperMicro CSE-825TQ-R700LPB features three 80mm 6300 RPM fans for efficient ventilation and effective system cooling. 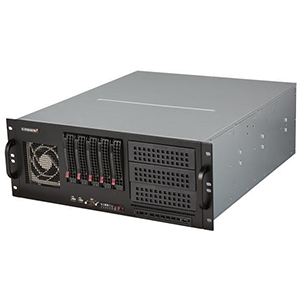 6 LED INDICATORSThe SuperMicro CSE-825TQ-R700LPB features 6 LED indicators on the front panel for hard drive activity; network activity, power fail and system overheat indication resulting in great convenience. 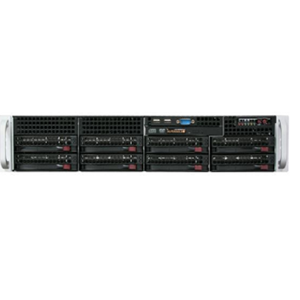 BUILT-IN 700W PSUThe SuperMicro CSE-825TQ-R700LPB is equipped with a powerful 700W redundant power supply unit to feed energy-consumptive monster systems, making every server component run robustly. 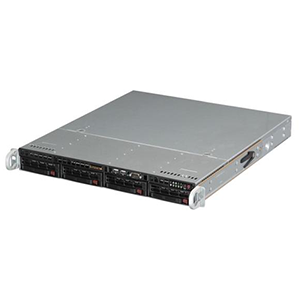 CONVENIENT FRONT I/O PANELThe SuperMicro CSE-825TQ-R700LPB features a convenient front I/O panel for easy access to one DB9 COM and two USB 2.0 ports.